This pasta is, in a word, dense. 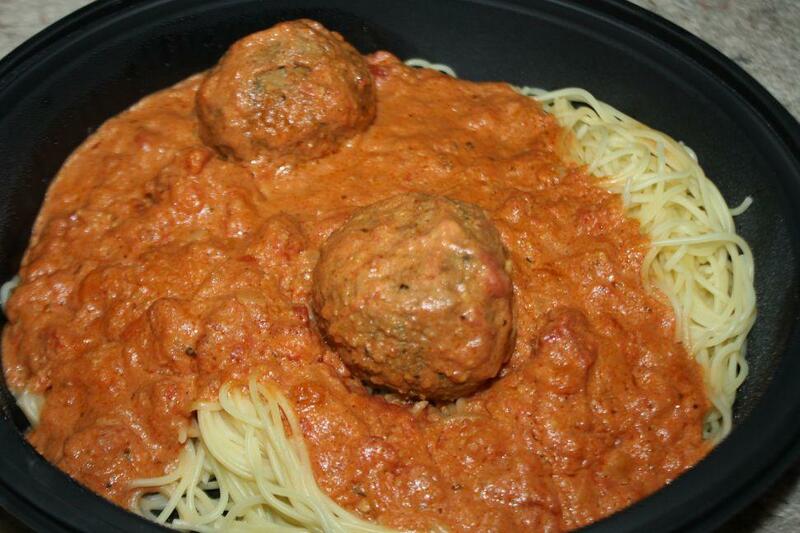 Thin strands of angelhair weave themselves into a thick mesh, inexorably trapping the pure cheese goo of the Five Cheese Marinara sauce, along with the heavy meatballs. Though tasty, this dish will definitely impregnate you with a food-baby, and I will warn you up front that it will likely be a preemie. Pictured here is Cannonball, in all its stick-to-your-ribs goodness.